Haaretz is reporting that the IDF, after extensive field tests to explore the issue, has decided that female soldiers cannot serve in the tank corps. Among the difficulties identified in the tests were physical discrepancies between the women and men in tasks necessary within the combat compartment of the Merkava tank, particularly the loader position. In addition, evaluators examined the level of intimacy required among soldiers who are forced to spend days at a time locked into a small cabin while on operational duty. 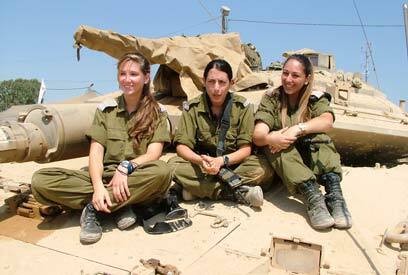 The privacy of a female combat soldier could at times be severely compromised under such conditions, the IDF found.